Stand by… the ROYAL COMMISSION is coming to a close… 13 months and here we are, days from hearing the recommendations concluding the royal commission. Are we facing the end of the plastic bag we know today? The Amazon juggernaut is coming to Australia. Expected launch and opening date is yet to be confirmed but it is expected come November, Amazon will be open for business! Based on its track record in other countries, Amazon will spend hundreds of millions of dollars over the next few years to establish its services in Australia and become a real powerhouse within the retail industry. Driverless technology is creeping in slowly on our roads, cars these days now do things we wouldn’t have dreamed of 20 years ago… and it is increasingly advancing with the complete driverless car getting closer and closer… however technology is facing one big problem. Kangaroos. 52 years of service to the Latrobe Valley, thank-you. March 31, 2017, a surreal feeling within the Latrobe Valley. After 52 years of service the Hazelwood Power-station turned off its last unit. Welcome all, 2017 has arrived. Are you ready? We sure are! 2017 has arrived! 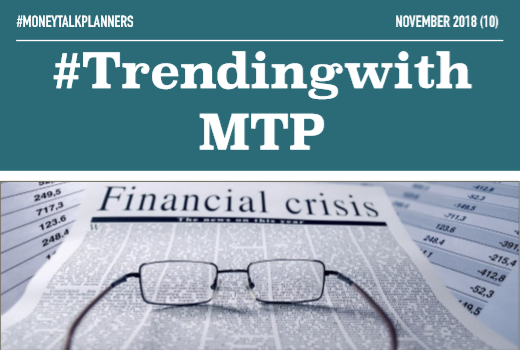 But, more importantly #TrendingwithMTP has landed with its first edition!